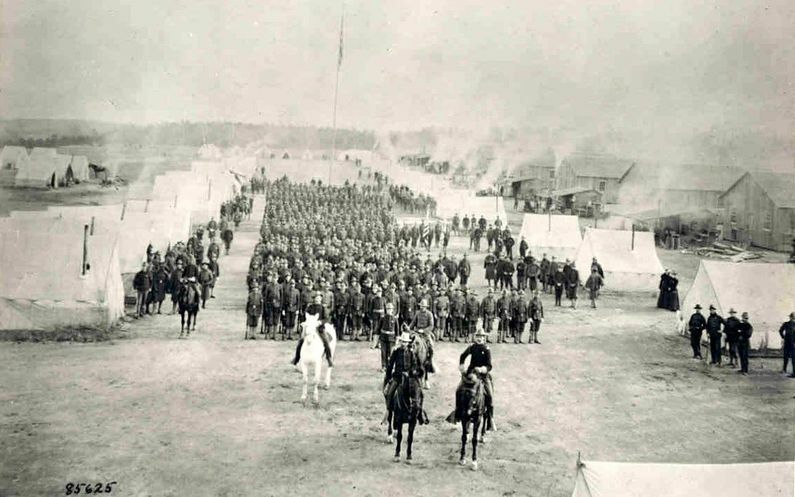 Camp Wetherill (1) (1898-1899) - A temporary Spanish American War 2nd Army Corps Camp established in 1898 in Greenville, Greenville County, South Carolina. Named Camp Wetherill (probably) after Captain Alexander M. Wetherill, 6th U.S. Infantry, who was killed 1 Jul 1898 during Spanish American War at the battle of San Juan Hill. Abandoned in 1899. 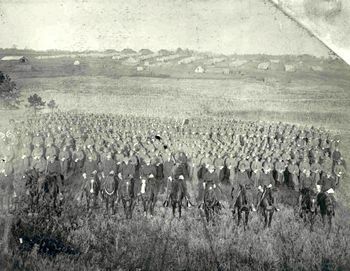 Established in November of 1898 as a state volunteer winter camp for units of the 1st & 2nd Brigade, 1st Division, 2nd Army Corps. These six divisions were moved from Camp Meade, Pennsylvania to Camp Wetherill in early November of 1898 as winter approached. 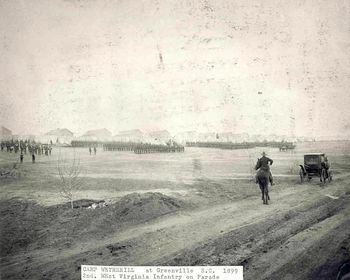 All six of these regiments were mustered out at Greenville between February and April 1899. The camp was abandoned in April 1899. No remains in Greenville, Greenville County, South Carolina. Location: Greenville, Greenville County, South Carolina. Map point is the possible location of the 2nd Division Headquarters. This page was last modified 21:25, 7 January 2019 by John Stanton.